Earlier this week the Guardian reported on claims made by hostages held by the Islamic State, identifying the speaker in the James Foley video as being an Islamic State member based in Raqqa, an Islamic State stronghold in north-central Syria. Based on that claim, and information in the James Foley video it’s possible to narrow down the location the video was filmed at. In the video there’s not a great deal of information, however, it is possible to determine some information from the images. 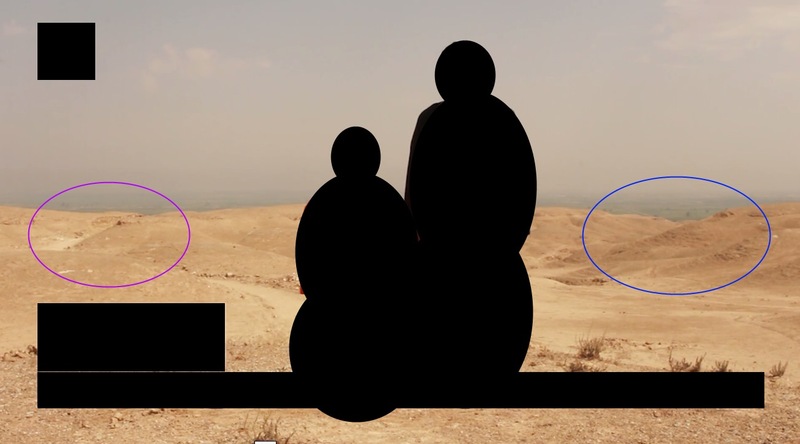 The position of the shadows in the video suggest this was filmed in the morning, with the camera pointing northwards. Based on that it seems reasonable to search the hills to the south of Raqqa for a possible location. But what details are available in the video to match to the featureless terrain in the area? 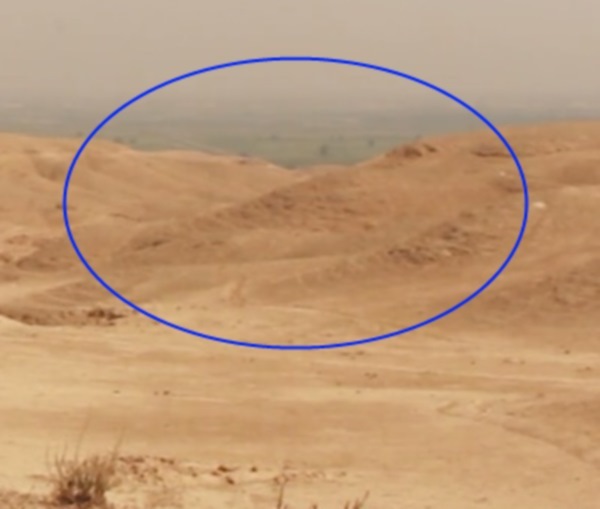 It appears the video was filmed on an area of raised ground, with the edge of the raised area circled in red in the below image. 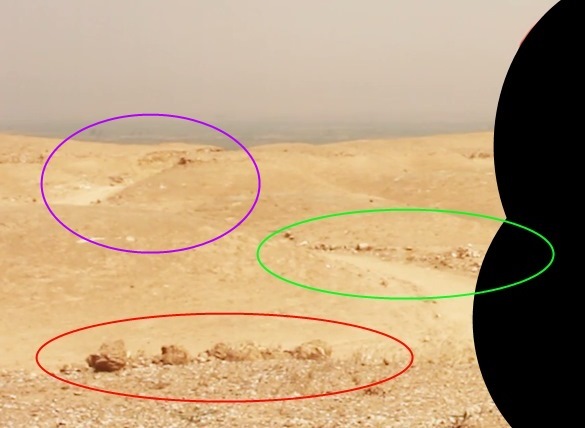 Also visible is the edge of a track, circled in green, leading to a break in the rocks, circled in purple, which is also visible in this picture. 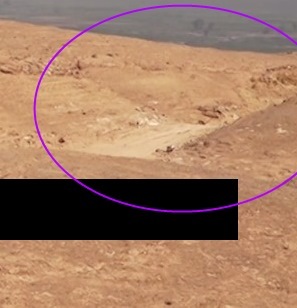 In this image, filmed face on to James Foley, the break in the rocks is visible on the left, with another small break in the rocks visible on the right. 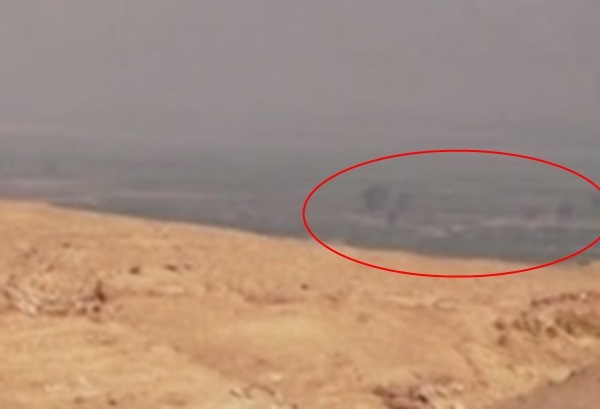 It also appears that in the distance there’s no obvious structures beyond what may be trees or small individual buildings. 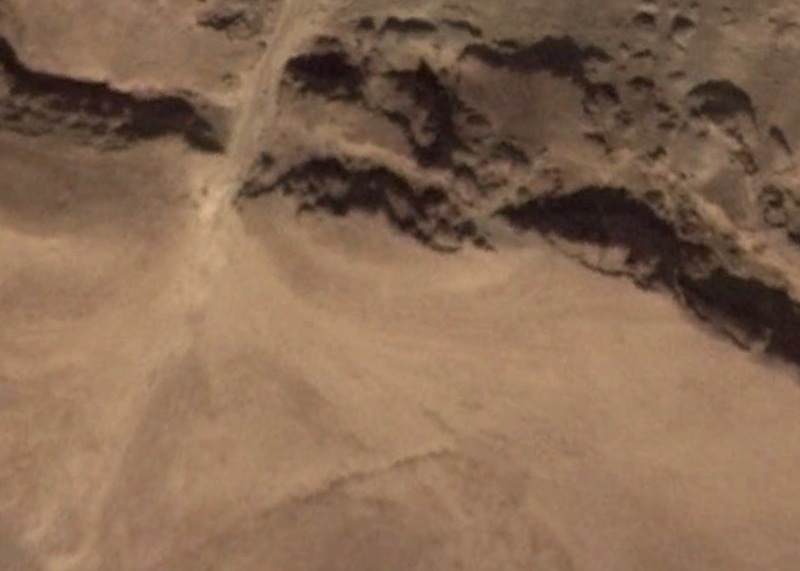 After examining the hill in the area, I believe this is a likely match for what’s visible in the video. 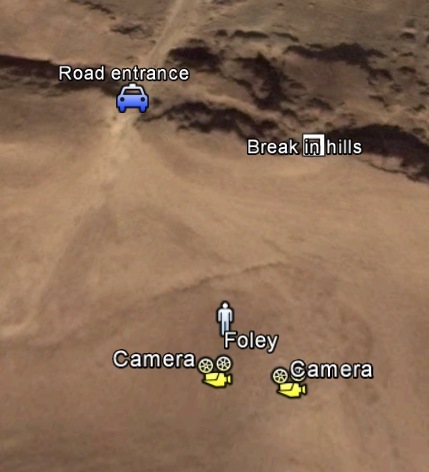 The below images show the track entrance to the area, and you can see in the satellite map images the rock outcrop would be partly covering the entryway, as it does in the video. 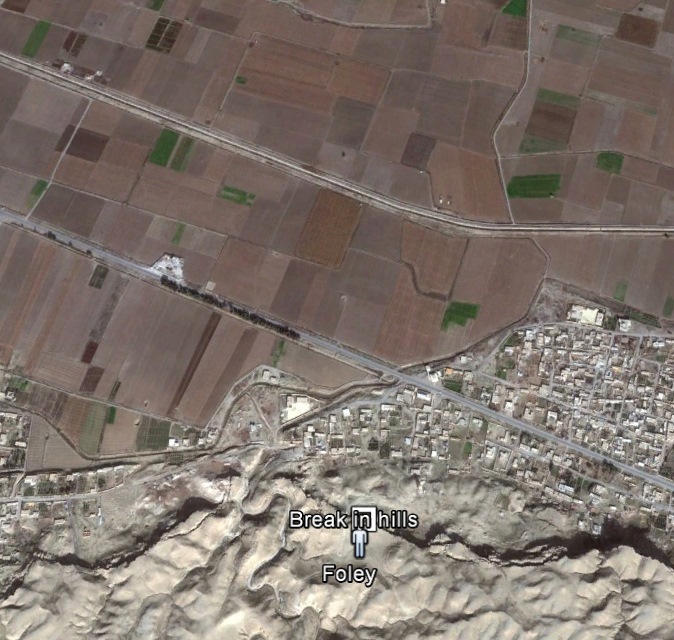 Also visible on the satellite map imagery is the raised area the video is filmed on. Based on that information it appears these are the approximate positions of what we can see in the video. When the camera is positioned to the right it appears trees are visible in the distance that are a possible match to the trees on the road to the north-west. 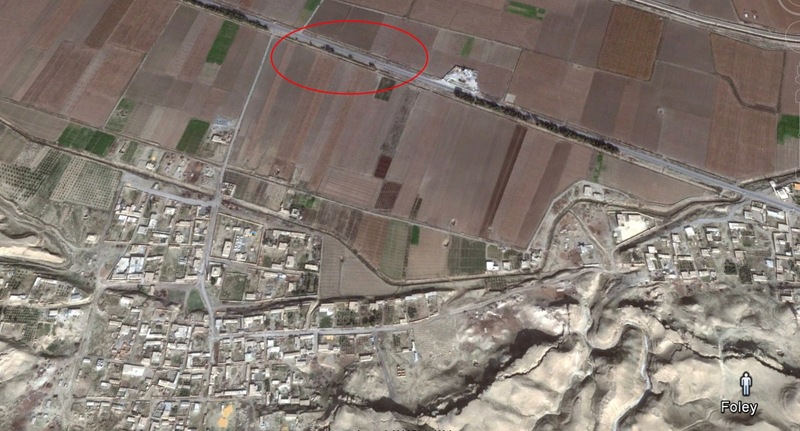 It’s also worth noting buildings or other structures are not visible on the satellite map or on the video. In the below images we see the view north, through the break in the hillside. Again, we see very little beyond fields, and the occasional tree or structure. 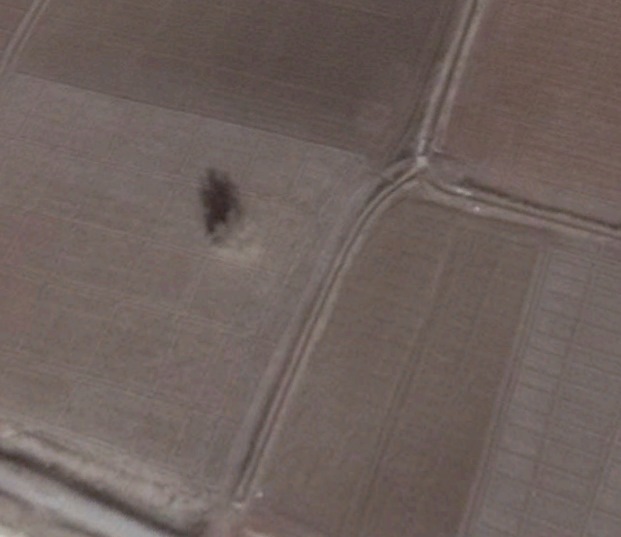 For example, this tree is roughly 1km directly north of the camera. Having reviewed locations along the hills south of Raqqa this appears to be the only location which fits what little information is available in the video. Along the hills this appears to be the most isolated spot with any sort of road access, with most other areas with road access appearing to have structures that would be visible in the video. 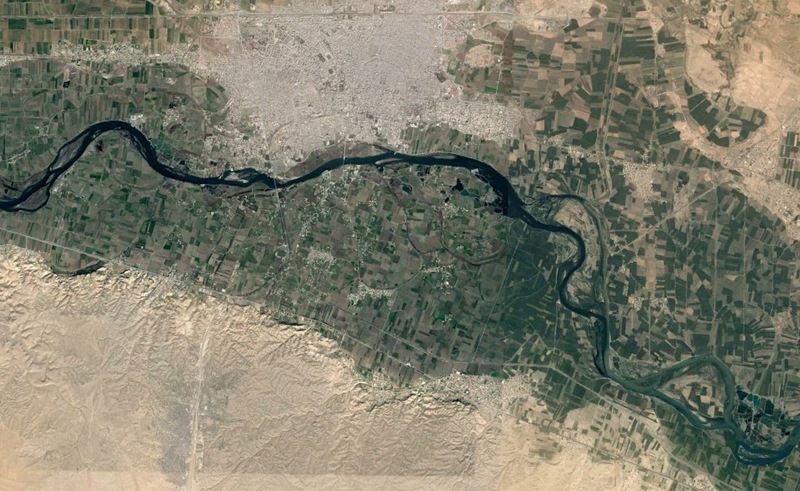 Based on all available information we can say that at the very minimum the James Foley video was filmed in the hills south of Raqqa, and likely at the location shown above, supporting the claims made in the Guardian that Raqqa is the possible location of the remaining hostages. Update ISSE Net has produced this interesting counter-argument to the above location being the site of the James Foley execution. National Geographic, many years ago, published an article in which they took photos from the Peary North Pole expedition, and used an analysis of shadows to establish the long and lat at which photos were taken, proving that the expedition did indeed get to 90 north. Don’t know the math behind the technique, but suggest it could speed things up if it is practicable, and end a lot of discussion over hills, tracks, trees, etc. etc. The earth is a big place, how did you find that area to start looking?